The Spring Festival is approaching, how to choose new clothes for the New Year is indeed worrying, then let Xiaobian recommend for everyone a few unique features and the combination of the new year's atmosphere of the Goliath single product, will definitely let you win the glimpse of the crowd. This season, retro style has swept across the globe, so retro ruffled plaid dresses are definitely a good choice. For example, this Gloria dress has gorgeous lines intertwined with each other. The stylish magic plaid pattern makes people feel at home. Collar lace design layered skirt echoes, natural aristocratic flavor naturally distributed. Put it on, whether it is with leggings or tough trousers, will allow you to reveal even more sweet and lovely in the able. Does weekday business wear make you feel a bit overly depressed? Then you may choose to feel relaxed some of the single product, this Goliath pullover sweater, the entire dress is covered with a delicate sweet little heart, people can not put it down. This cute sweater will let you breathe sweetheart from the inside to the outside. With the arrival of early spring, the temperatures in some regions have started to pick up, and the heavy, overstuffed down jackets can no longer dominate the world. 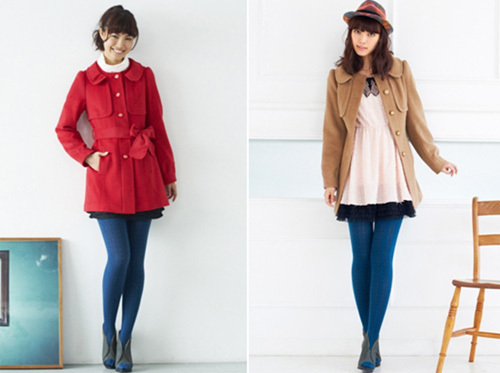 Therefore, the slim coat is also a good choice. Small, black and white plaids spread over the entire coat without dazzling. It combines stylish cloaks with self-cultivating coats, and the birth of an overwhelming British coat. The ox-buckle coat has always been the model for leading the trend, and the spring coat gives a full woman impression. This Goliath horn button coat makes it possible for both the girl who walks in cute lines and the light mature lady in her ladylike style. The classic dark blue coat gives people a more mysterious feeling and allows you to bloom in the cold wind. The British fake full two-piece coat is also a good choice for New Year's items. The fake two pieces are novel in design and have unique charm. In classic coat, add a short jacket with retro round neck, rich layering to meet the requirements of your mix and match. A sweet bow tied around the waist gives it a feminine feel. Put on such a coat, whether it is to participate in family gatherings, or friends dinner, will make you a major highlight of the crowd.